This shop is a one-and-a-half storey squared log home built on a random stone foundation. Thought to have been the first school in the Maple area, this little building was also used as a private home. The upper level, with its low ceilings, is unheated and unfinished, and is now used for storage. 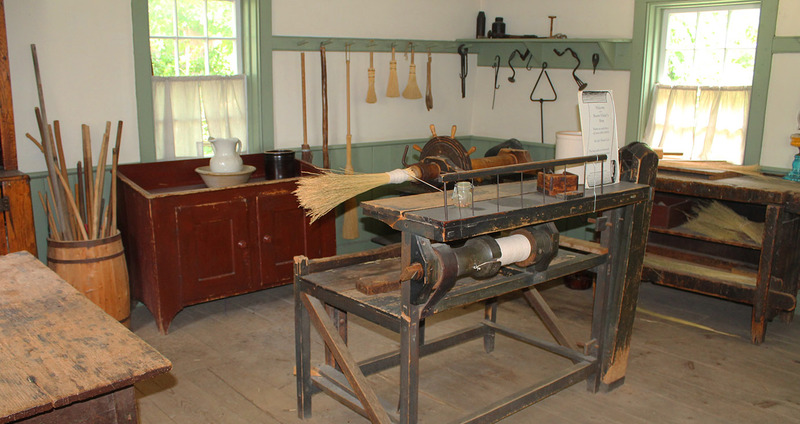 The main floor makes for an ideal workshop, housing the broom-making equipment and living quarters. The building was moved to Black Creek Pioneer Village in 1963, and was restored and opened to public in 1973.